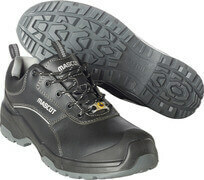 Whether you are looking for solid safety footwear or footwear without safety components, MASCOT offers one of the industry’s largest assortments of footwear for the job. 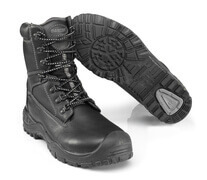 If you work in extreme environments, it is vital that your work footwear meet the highest safety requirements while providing ultimate comfort. 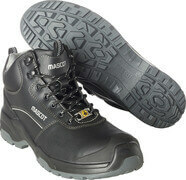 At MASCOT, you will find a wide assortment of both traditional safety shoes and boots, modern safety footwear in innovative materials as well as footwear without safety components. 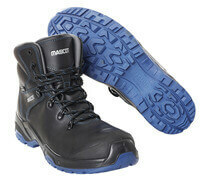 If you work in environments where your feet are exposed to risks of high temperatures, chemicals, pressure or the risk of objects being dropped, you should look for MASCOT’s wide selectin of safety footwear. 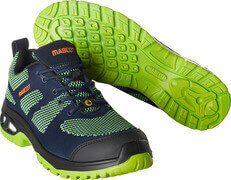 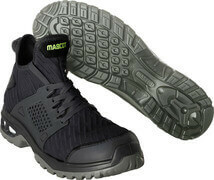 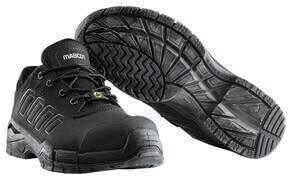 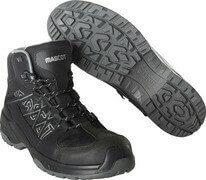 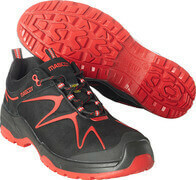 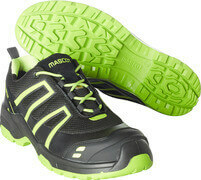 If you choose safety footwear from MASCOT, you are assured that your footwear is certified according to EN ISO 20345. 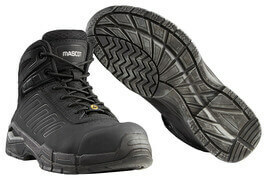 It means that all products meet the market’s highest safety requirements for work footwear. 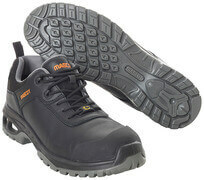 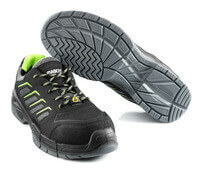 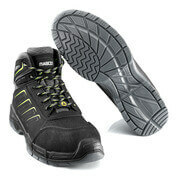 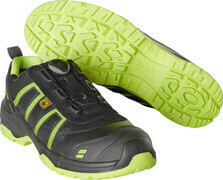 In our assortment, you will find safety footwear in safety classes S1P and S3. 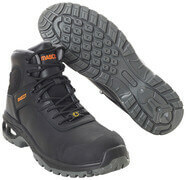 In both safety classes, the footwear has nail protection, toe cap, oil and petrol resistant outer soles as well as slip resistant, anti-static and breathable properties, among others. 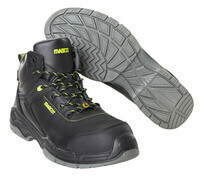 The work footwear in safety class S3 is in addition water-repellent. 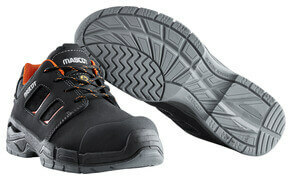 In short, at MASCOT you will find a versatile selection of safety footwear, whether you work in construction, trades, industry or more extreme professions. Innovation is essential when we develop work footwear. 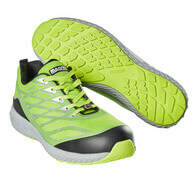 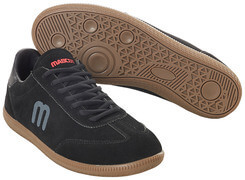 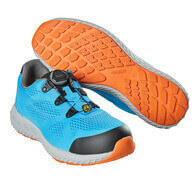 Both in terms of materials and functions, you get with footwear from MASCOT the markets best and latest trends. 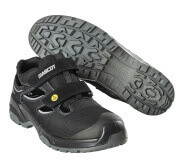 If you prefer quick and easy closure of your footwear, you should look for footwear with the Boa® Fit System, which ensures quick fastening of the footwear using a smart wheel. 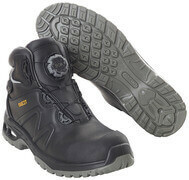 If you want work footwear that is extremely shock absorbing, especially lightweight or as flexible as possible, you will in our different footwear collections find innovative materials such as soles of ETPU, toe caps of composite and nail protection of textile, all of which help make the work footwear so functional and comfortable as possible. 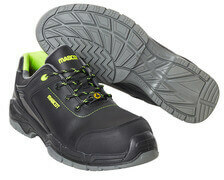 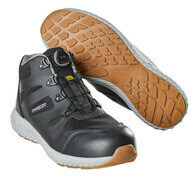 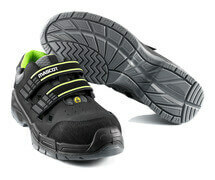 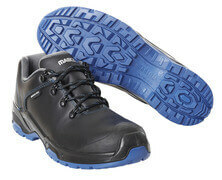 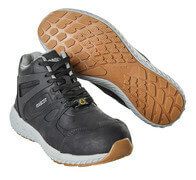 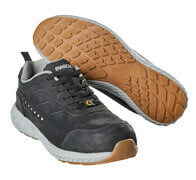 If you don’t need safety, MASCOT’s assortment also includes work footwear without safety components. 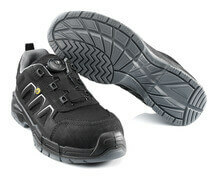 These shoes are for those who work in professions where ordinary sneakers can be used. 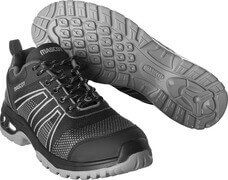 Although the footwear is without safety, you still get the quality, design and fit that you know from MASCOT’s additional assortment of work footwear. 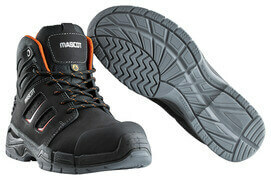 With MASCOT, you can give all employees across job functions a streamlined visual identity.